After earning his spurs on the UK comedy circuit Lee Hurst became the warm-up man for Have I Got News For You?, this was followed by another warm-up slot for a new comedy sports quiz, They Think It’s All Over. The producers were so impressed with Lee, they decided to have him as a regular panellist. Although he had no sporting prowess and he knew next to nothing about football, he won over millions of viewers each week with his quick witted banter. Lee appeared as a regular panellist in the first five series of They Think It’s All Over leaving in 1998. He returned for two appearances as a guest towards the end of its run for Series 17 in 2004, and for the Comic Relief ’24 Hour Panel People Special’ in March 2011. Lee’s other TV credits include presenting Shark Tank, Salvage Squad and The Warehouse, and guest appearances on That’s Showbusiness, The Stand Up Show and Have I Got News For You. He also appeared as a regular panellist on Don’t Give Up Your Day Job as well as fronting ITV’s short-lived revival of the entertainment show Saturday Live. Lee was the creator of Bring Me the Head of Light Entertainment, which ran for five series on Channel 5 between 1997 and 2000. 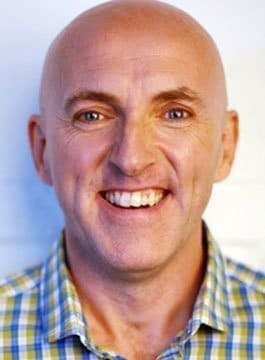 On radio, Lee Hurst has appeared on The Steve Wright Show, Euromix, Two Men and a Transmitter and The Robert Elms Show. He was team captain on Hold The Front Page. He also presented Wriggling with Eels, a study of Cockney comedians for BBC Radio 4. In 2000, Lee decided to semi-retire and concentrate on running his Comedy Club, acting as resident compere. In 2010, Lee closed this club and razed it to the ground. In its place Lee is developing a seven storey hotel, on the ground floor of which will be a bar and a new Comedy Club. In 2012 Lee on undertook a 50 date tour called ‘Too Scared to Leave the House’. As a highly regarded corporate comedian, Lee has performed in cabaret for many household name companies, from Britvic and SpecSavers to O2 – at his best simply bouncing off members of the audience. He has also hosted awards ceremonies for the travel, IT, printing, commercial vehicle and, perhaps surprisingly, the beauty industry. Lee Hurst is the ideal comedian to host an awards ceremony or perform a stand up set for a corporate client as not only does he possess a sharp comedy mind, he is also one of a handful of comedians that very rarely swears on stage. "The brief was to make 200 advertising types laugh their socks off - that is exactly what we got"
"Absolutely fantastic. A true professional. I cannot praise him highly enough. Lee’s contribution was immense"
"Lee Hurst kept everyone in hysterics and definitely gave us value for money"